Online MBA Report recently spoke with Dr. Emily Ford at Baker University. We learned that Baker offers "Baker 360°" a unique single-source digital system that provides eBooks, eLabs, tutoring all in one platform. 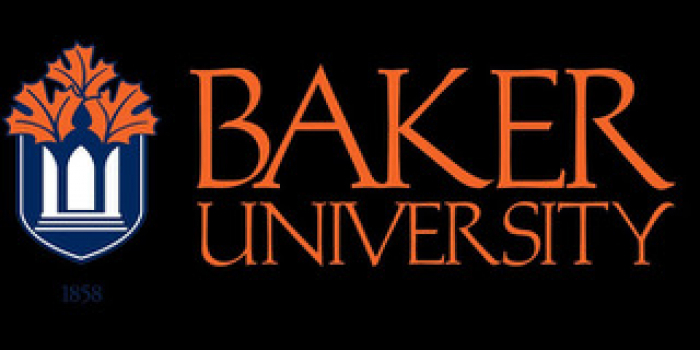 Baker is also top-rated for veterans, offering discounts as well as a dedicated academic advisor. What type of student typically enrolls in Baker’s online MBA program? Baker University’s typical MBA student includes adult learners who are currently in a career seeking advancement, looking to switch careers, or wanting to enhance their knowledge and/or skill set. For example, we are finding that doctors are going back to school to obtain a MBA in order to better manage their practices. Yes, but only if they choose to enroll in a course on campus. Online students are not required to meet on campus, but they are allowed to enroll in on-campus courses as available. Not all courses are available in the campus format so how should we word this? We offer open enrollment for our on-campus courses, as well as our online courses. How do students in the Baker’s online MBA program interact with faculty? Our faculty are also working professionals and encourage our students to create networks with their peers and the faculty. They utilize various tools in our LMS, Moodle: chat, email, forums, Zoom sessions, and they are often willing to meet on campus as needed, if they are in the area. What is unique about the structure of Baker’s online MBA program? Students can complete the program in as little as 12 months, but most complete within 22 months. The format of the classes is accelerated and the curricula is designed to be immediately applicable to the workplace. The faculty who teach classes are working professionals within the disciplines in which they teach. Many of our faculty are in the Midwest; however, we have faculty from all over the United States (including Hawaii). Yes, Baker 360°is our comprehensive digital environment that serves your educational needs from day one to graduation. This online package is available exclusively to students in the School of Professional and Graduate Studies and provides everything you’ll need from eBooks, eLabs, and tutoring to career support and more. Baker 360° is your single-source, all-inclusive way to succeed at Baker and beyond! Baker University is ranked highly for being a top military-friendly university, per Military Advanced Education magazine. What are some of the benefits for students? Military students, military spouses and veterans receive a discount on their tuition. They also have an academic advisor who is dedicated to working with the students throughout their program of study. As well, Baker has a Student Veterans Organization to create a community for our military students together outside of the classroom. Baker has partnered with many local employers, to offer tuition assistance. Do many students take advantage of this program and what should a prospective student consider when analyzing Baker’s value? Yes. We encourage students to reach out to their employer to find out what benefits are available to them when going back to school. They should make sure to ask their employer if the cost of the educational resources (textbooks, etc.) for each are covered as part of the assistance. If their employer does not yet offer tuition assistance, we have staff who can reach out to the company to determine if creating a tuition discount for the employees through a partnership with Baker is possible. Baker is also ranked high for older students—what can you share about the experience for older students in Baker’s Online MBA program? The adult students are always at the center of the learning experience at Baker. Creating opportunities to engage by building relationships with our students results in more meaningful learning experiences. As well, adult learners seek immediate feedback and our model for learning provides the students with multiple opportunities to engage with faculty and peers. We also have a committed academic advising team to support the adult learners and understand the challenges of mastering multiple roles in addition to going back to school, from working full-time to supporting a family. Baker is offering three new programs for MBA degrees: Executive Leadership, finance and human resources—please share with prospective students how these programs could benefit their education and career? Now more than ever, employers are expecting the workforce to have specialized skill sets that allow employees to excel in their fields. The new MBA degrees place an emphasis in key areas of industry while maintaining the essential skills that are needed in today’s workforce: mastery of oral and written communication, creative critical thinking, an innovative and entrepreneurial spirit, and the ability to adapt quickly to the demands of an evolving industry.